Dog Friendly Places in Blairgowrie. 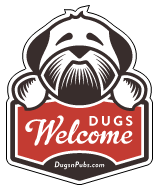 Bring your pooch to The Angus Hotel and you’ll both feel welcome from the moment you arrive. Our receptionist will greet them with a welcome biscuit (and who can’t resist a biscuit!) before showing you to your pet friendly room where you will have a cool box to store their food, use of a food bowl and water bowl, and a treat to reward them with later. Dogs are not allowed in the general public areas where we serve food, although a designated area is available. There are a total of 8 dog friendly listings in the Blairgowrie category. Please log in, or sign up as a member to view all listings.